Title: "In Honor of our Vietnam War Hero"
Honoring the many service men and women who gave their lives for our country, I must honor one particular member of my family – PFC, Sammie Lee Watson, Jr. (aka Sonny). A 1967 graduate of Beaumont High School, Sonny was not only very smart, he played varsity football and ran track. He enjoyed working and owning his own money. In fact, prior to entering the military he was employed at Owen’s-Illinois Glass Company in the Plastic Division. 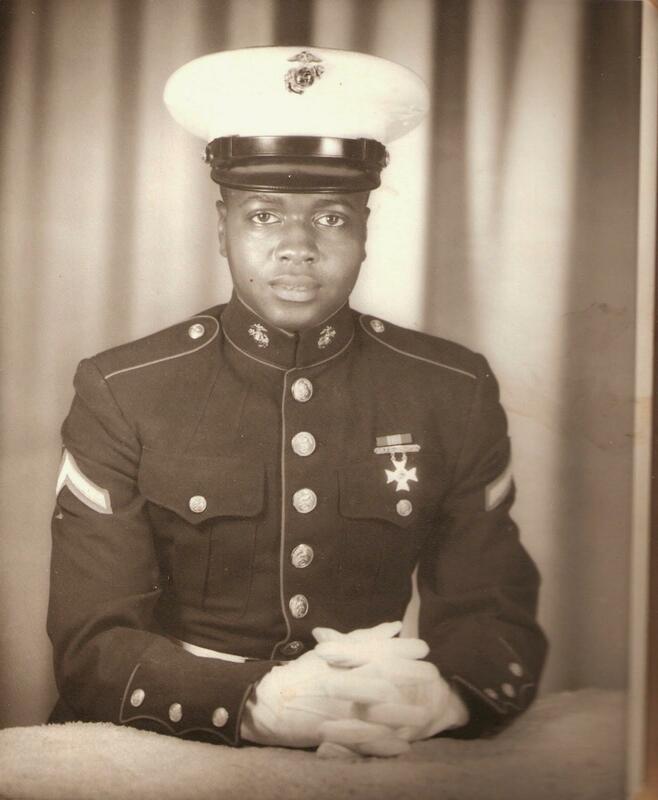 On March 5, 1968, Sonny made the decision to enlist into the Marines. Once again, I remember him coming to say goodbye to my mother and the family. She did not want to see him go. He left to attend basic training at Camp Pendleton in San Diego, CA. While he was there, his commanding officer wrote a letter to his parents stating their son Sammie requested to come home and be baptized by his own pastor at Bostick Temple Church. His request was granted in July 1968. While in basic training, Sonny was awarded top honor and received the Sharpshooter Medal. 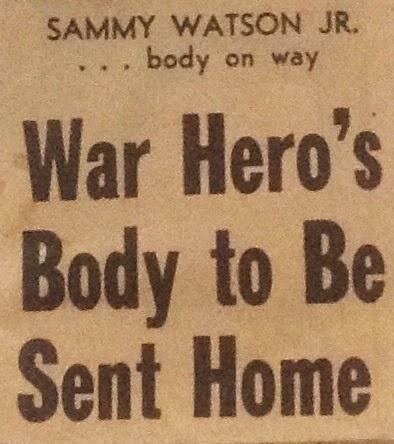 On August 15, 1968, not knowing this would be the last time we would see him alive, Sonny left for South Vietnam. On Thursday, November 28, 1968 while on patrol duty in South Vietnam, the enemy who knew the terrains so well attacked his camp. Sonny was shot and killed by the enemy. The news of his death even reached the local newspaper. That particular Thanksgiving Day was a sad occasion for the entire family. It is the hope of every parent who has a child in the military, that one day after their time has been served, they will return home. 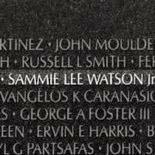 Today Sammie Lee Watson, Jr’s name is inscribed on the Vietnam Veterans Memorial Wall in Washington, DC.